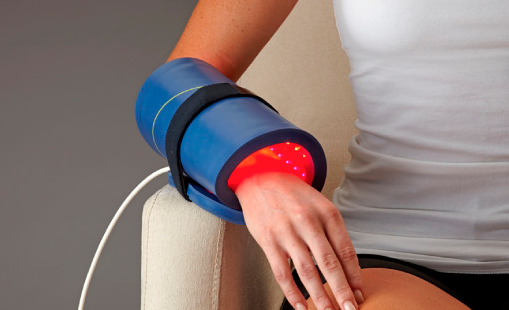 Celluma delivers blue, red and near-infrared light energy simultaneously to safely treat a wide variety of conditions. Each wavelength is absorbed by different molecules that act as a signaling mechanism for different cellular processes. For example, some reduce inflammation and some kill bacteria, while others enhance localized circulation. Celluma is ideal for use following laser, microdermabrasion, microneedling and injections, as well as following a wide range of other common skin treatment modalities. Celluma is FDA cleared to treat: Wrinkles, Inflammatory Acne Vulgaris, Diminished Local Blood Circulation, Muscle & Joint Stiffness, Muscle Tissue Tension, Muscle & Joint Pain, Muscle Spasm, and Arthritis. Introducing LED Facials, a painless skincare treatment that plumps up aging skin by boosting collagen production, treats mild to moderate acne by killing the bacteria responsible for breakouts, and stimulates an increase in micro-circulation, tissue repair, and a decrease in inflammation and pain. 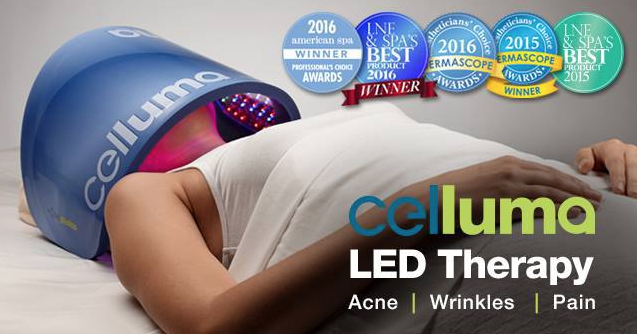 Celluma light therapy works safely and effectively, without abrasive chemicals, harmful UV-rays or side effects, to destroy the acne-causing bacteria — not only clearing up existing blemishes, but preventing future breakouts before they happen. In just minutes a day, you’ll be on your way to a clearer, smoother, more radiant complexion. Scientifically proven to relieve arthritic pain, muscle and joint pain and stiffness, Celluma provides compromised cells with the energy to regain and restore vitality naturally. Its powerful, deeply penetrating wavelengths are absorbed by photoacceptors in the mitrochondria. This process increases the production of adenosine triphosphate (ATP) — the fuel that drives all cells. This boost of cellular energy results in a cascade of metabolic events leading to an increase in micro-circulation, tissue repair, and a decrease in inflammation and pain.